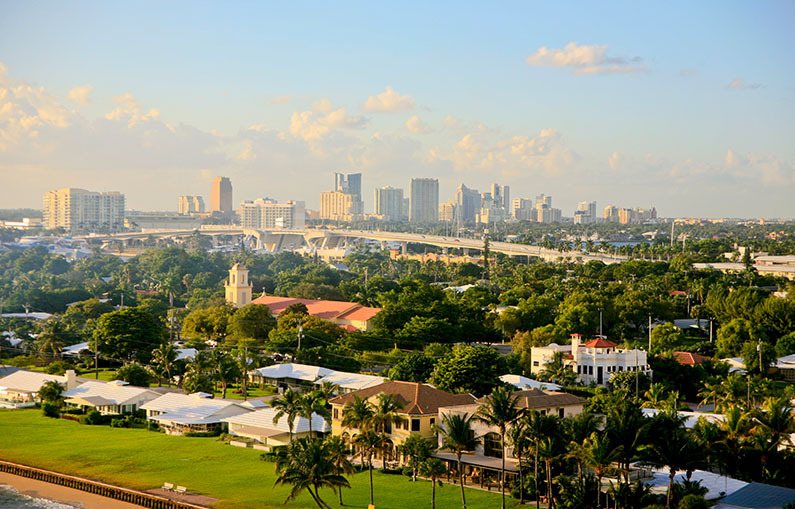 Located just north of Miami, Fort Lauderdale encompasses both the striking beauty and sparkling energy of Southeast Florida. Hop on the A1A (which runs directly along the Atlantic Ocean) and take in the tropical sights: it is the “scenic route” at its finest (and sunniest, too). Seize the beauty of South Florida by doing as the Floridians do: head to the beach, and bask in the ocean’s spray. With Fort Lauderdale Beach serving as the most popular stretch of white sand, the nearby communities of Pompano Beach, Hillsboro Beach, and Del Ray Beach are also worth the commute. Take the long way home, and loop through Del Ray and Hillsboro’s “miles of millionaires”—nothing wrong with a little window shopping. A Fort Lauderdale institution, the Mai Kai offers up nightly entertainment and delicious Asian-inspired grub. Inspired by a childhood trip to Don the Beachcomber’s in Chicago, brothers Bob and Jack Thornton dreamed up the Mai Kai in 1956. For nearly sixty years, the restaurant has worked to embarrass/entertain its patrons by including them in their Polynesian floor shows, a tribute to the many islands and their native dances. Along the Intracoastal sits a stretch of beautiful homes (and beautiful boats). Take a ride on a water taxi or a paddleboat and explore this gorgeous section of Fort Lauderdale, sometimes referred to as the “Venice of America.” Get out your star maps, because many of those massive homes belong to celebrities, none of them immune to the lure of South Florida. The Bonnet House Museum and Gardens, named for the Bonnet Lily, is a magnificent plantation-style home that has been preserved for public viewing. The rambling estate houses an art studio, a gallery, and extensive gardens brimming with Florida wildlife. The house tours provide an in-depth look into the historic life of the home and the opulence of South Florida’s past.